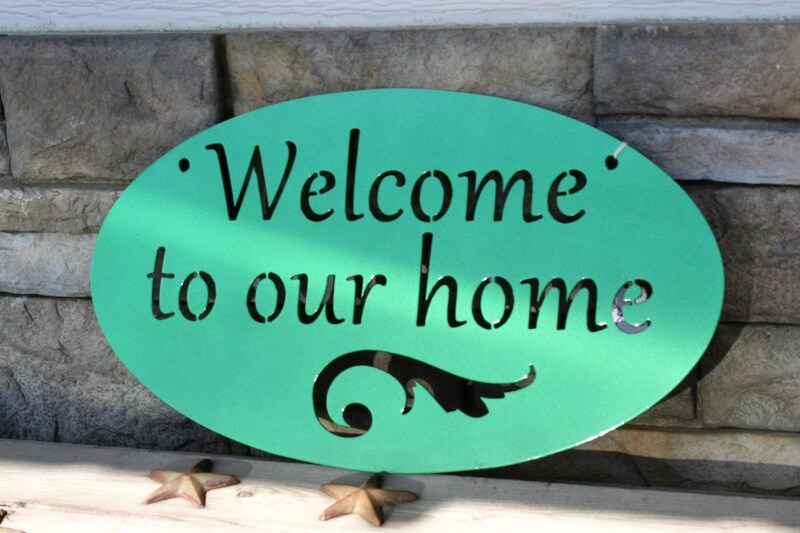 Welcome to our Home painted metal sign is perfect for your front door or entry way! 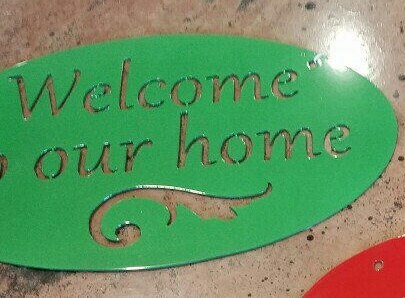 This beautiful Welcome sign measures 18" wide. It's coated with a very durable powder coated finish. Safe to display indoors or out! Makes an excellent housewarming gift! Holes are spaced so that you can hang this adorable sign with nails or even attach a light chain or heavy duty ribbon to hang it. We hope you'll love our welcome signs as much as we love creating them! All of our products are made by the two of us in our home shop -- made in USA and made to last!